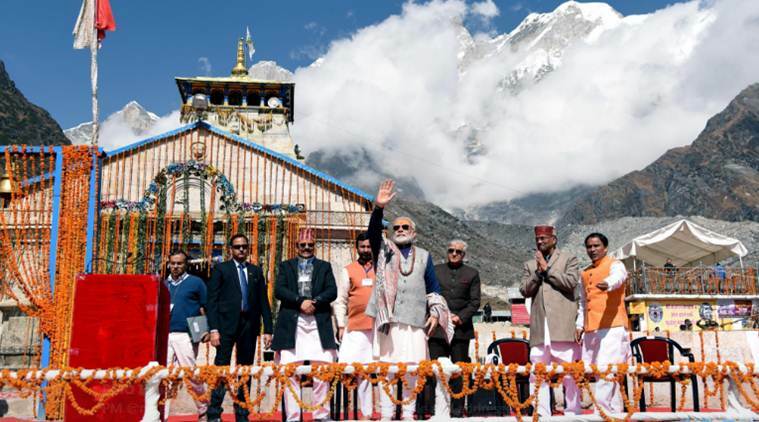 Prime Minister Narendra Modi on Friday offered prayers at the Kedarnath temple in Uttarakhand and said his visit to the shrine strengthened his resolve to serve the nation. Stressing that “service to nation was service to god”, Modi took a pledge to devote himself to realising the dream of a “developed India” by the time the country marks 75 years of freedom, in 2022. On the day, Modi also laid foundation stones of five major reconstruction projects at Kedarpuri while also attacking the Congress for not allowing him to carry out relief work after the 2013 deluge. The reconstruction projects includes improved facilities for devotees, construction of retaining walls and ghats at the Mandakini and Saraswati rivers, an approach road to the shrine and reconstructing Adi Guru Shankaracharya’s tomb that devastated in the 2013 deluge. “The central government taking steps to ensure that resources of the mountains arepooled in for development of only the mountains”, he added. The Himalayan shrine, dedicated to Shiva, closes Saturday for as long as six months. He also said that as chief minister of Gujarat, he had offered to take the responsibility of reconstructing areas surrounding the temple in 2013 tragedy which killied thousands of people. The then Uttarakhand chief minister had also agreed in principle for the same. “But the then government at the Centre apparently had reservations about it and I had to return, However, perhaps Baba (Lord Shiva) had decided that the reconstruction around Kedarnath will done by Baba’s son only,” he said. 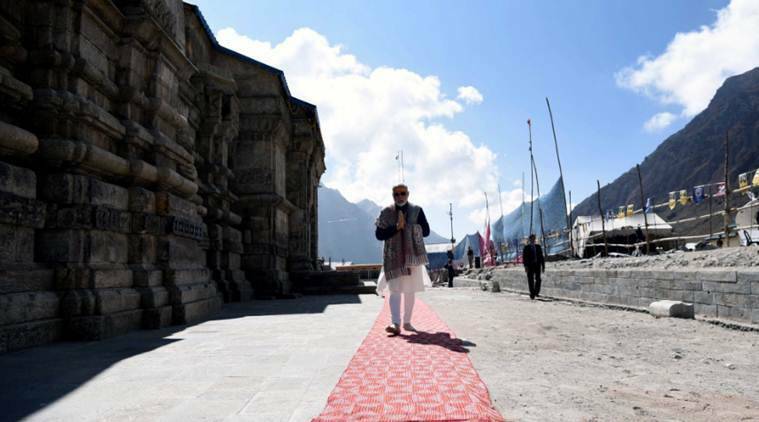 Modi had visited Kedarnath in May this year when the portals of the Himalayan shrine reopened for devotees after remaining closed for six months for the winter season. The Himalayan shrine, dedicated to Shiva, closes Saturday for as long as six months. Be the first to comment on "PM Modi pledges to devote himself for a ‘developed India’ by 2022,In Kedarnath"